Apple Pencil 2.0 was born out of necessity. Written by Carson Ting. Posted on April 9, 2018. Filed under Blogging. 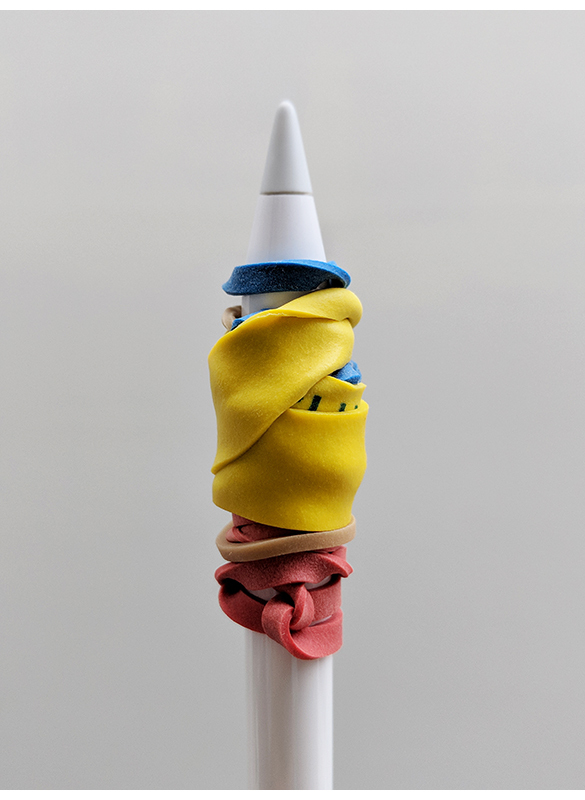 Tagged apple pencil, diy, grip. 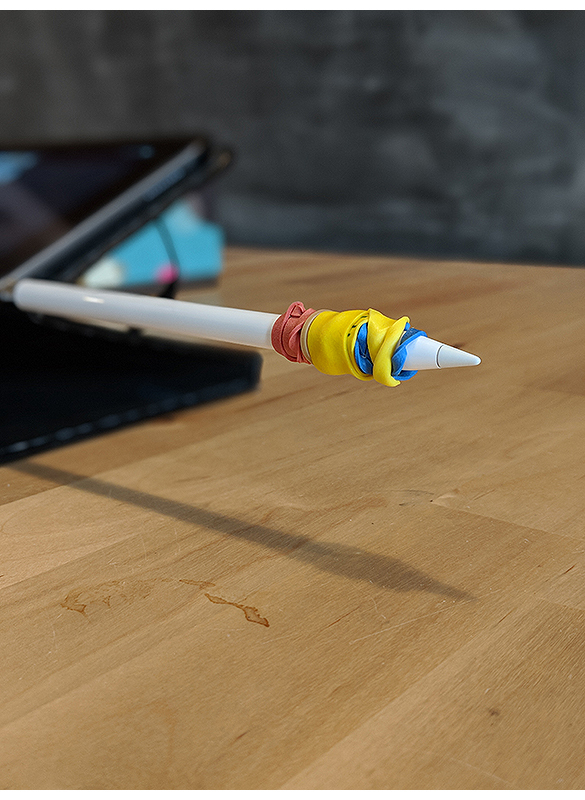 Comments Off on Apple Pencil 2.0 was born out of necessity..
Had to modify the Apple Pencil this weekend after a solid 5-hour drawing session to meet hard deadlines. In my opinion, the Apple Pencil is just way too thin and slippery to grip properly. It started to hurt my finger as it’s constantly pressed against the finger as I draw. So this little DIY rubber band solution totally did the trick. I know there are aftermarket accessory grips out there but trust me, don’t waste your money. Just grab a few rubber bands and you’re good to go. Fun little side note: Photos shot in this post was from my Google Pixel 2 XL. I’m constantly in awe of how amazing this little camera is on this phone. And no, I’m not paid to endorse Google. 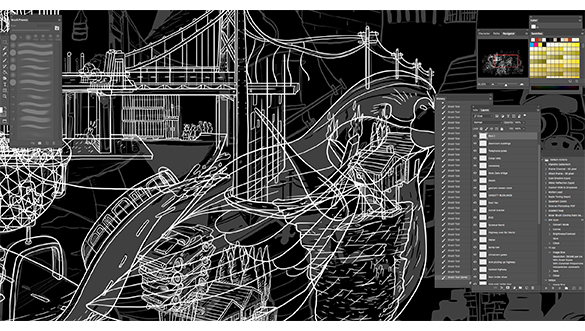 Here’s a screen grab of what I was working on. It’s WIP and I can’t wait to show you the final when it’s done!